Buckner Wellness Center - Fitzgibbon Hospital - PWArchitects, Inc.
Fitzgibbon Hospital had an existing older professional building that was in need of a minor facelift. The site was particularly difficult to work with, noting the requirements for drainage and the need to add the basement level and new parking to the building while blending the upper level into a suitable neighbor for the existing professional building. With the need for a Cardiac Therapy Center, the hospital approached PWA for ideas. The footprint of the building is approximately 6,400 square feet with two levels. 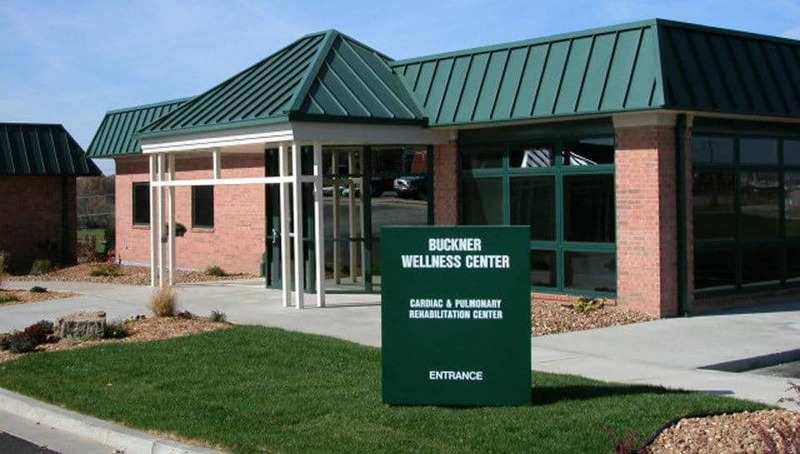 The Buckner Wellness Center for cardiac and pulmonary rehabilitation sits adjacent to the existing professional building in the upper level of the new Buckner Wellness Center while the basement consists of future expansion space for possible offices and clinic space. The green hip roof canopies of Fitzgibbon hospital tie the two buildings together forming the corner of the west campus of Fitzgibbon Hospital. The Cardiac rehabilitation center expands Fitzgibbon’s ability to provide service. 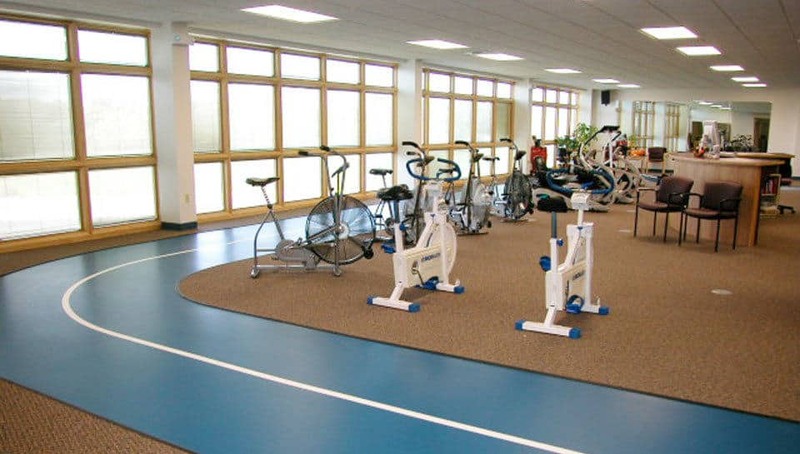 The new space quadrupled the square footage previously used in another facility for Cardiac Rehabilitation. A new walking track surrounds added space that gave them room for existing and new therapy equipment. The facility also expanded the ability for staff to handle the functional requirements of their duties by adding office space, meeting space and general storage for the facility.